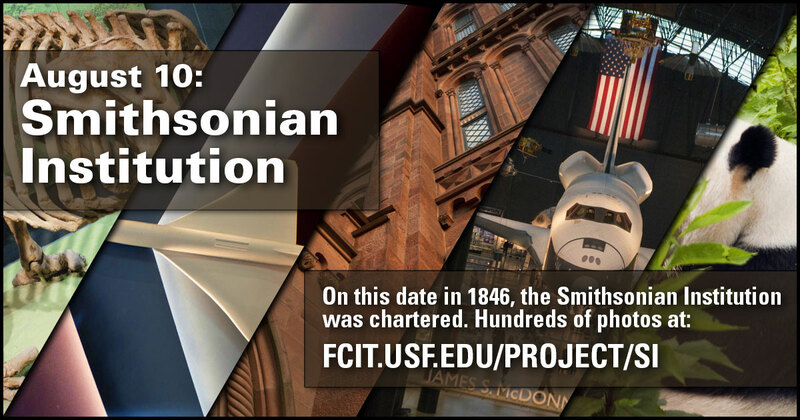 On this day in 1846, the United States Congress chartered the Smithsonian Institution after receiving a donation of $500,000 from British scientist James Smithson. The Smithsonian has grown to include nineteen museums, nine research centers, and a zoo. 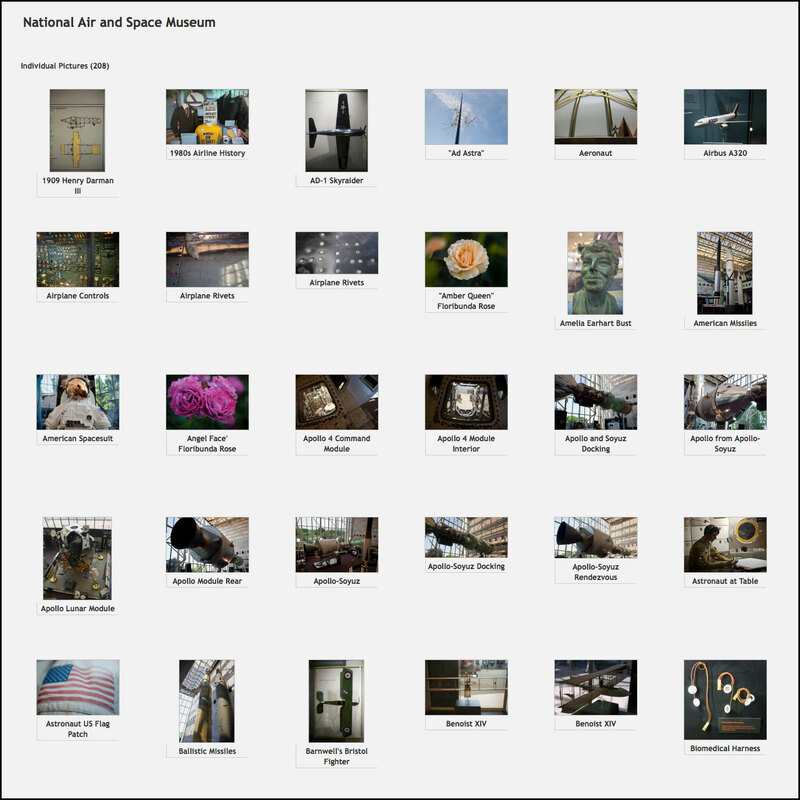 Our resource collection includes hundreds of photos for classroom use from the Smithsonian’s Museum of Natural History, the National Air and Space Museum, the National Zoo, the Hirshhorn, as well as the “Castle” and surrounding gardens. Use this banner on social media to share our Smithsonian Institution resource collection. The Smithsonian Institution Building on the Mall in Washington D.C. from the ClipArt ETC website. 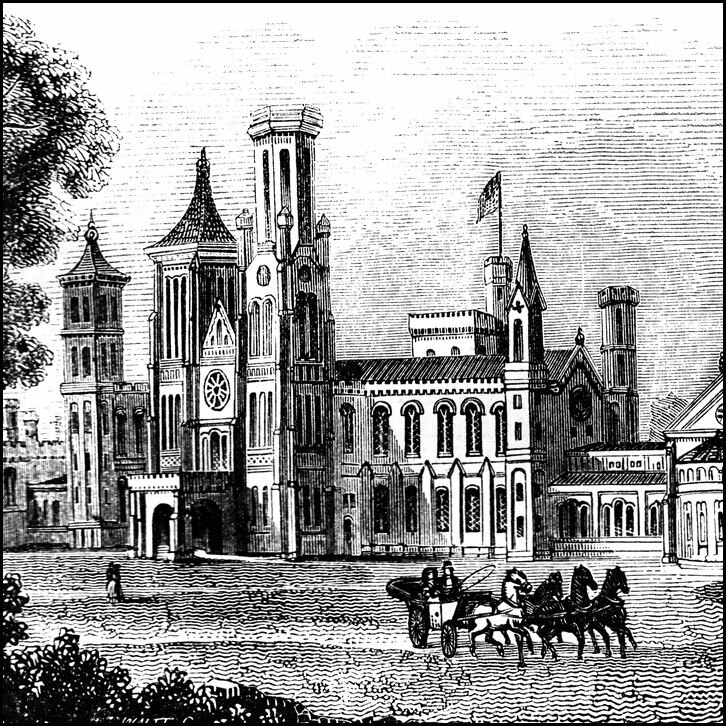 This first building of the Smithsonian Institution was begun in 1847 and still serves as the Smithsonian Institution’s administrative offices. The Smithsonian Institution Building (a.k.a. the “Castle”) as seen from the adjacent garden. Photo from the ClipPix ETC website. 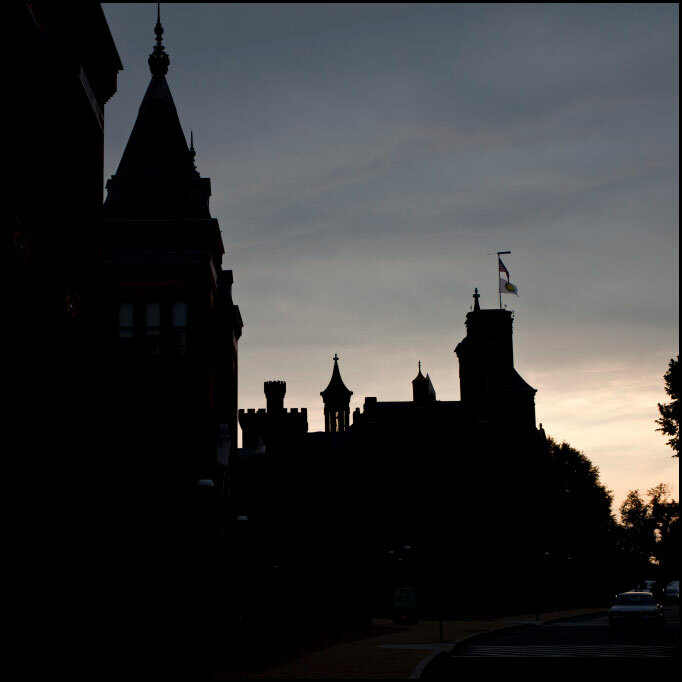 The Smithsonian Institution Building at sunset from the ClipPix ETC website. The building was designed by architect James Renwick, Jr. 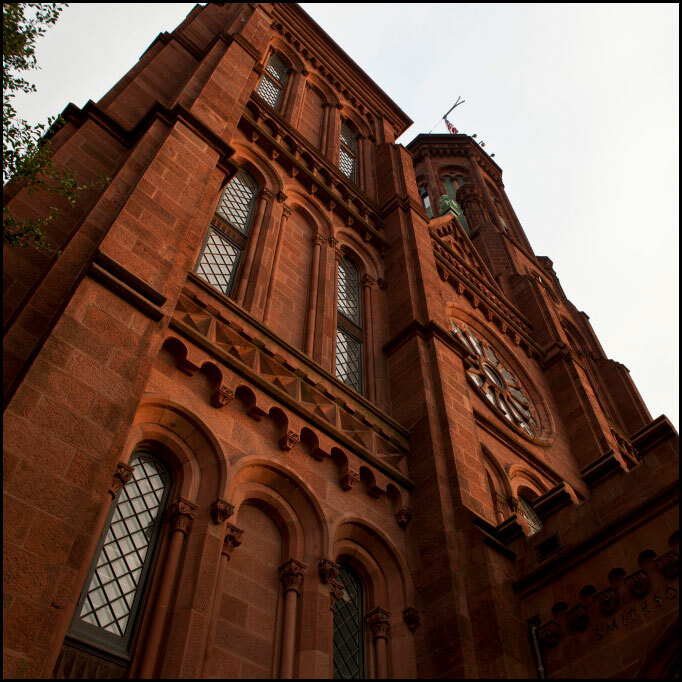 The original Smithsonian Institution Building was constructed of Seneca red sandstone from the Seneca Quarry in Montgomery County, Maryland. Photo from the ClipPix ETC website. 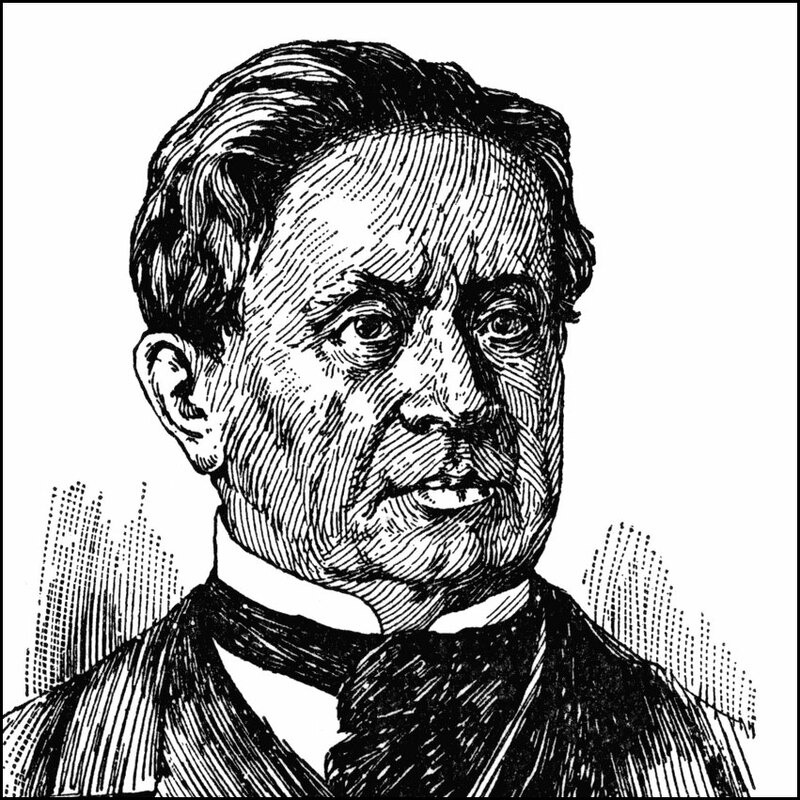 Joseph Henry (1798-1878) served as the first Secretary of the Smithsonian Institution. Illustration from the ClipArt ETC website. 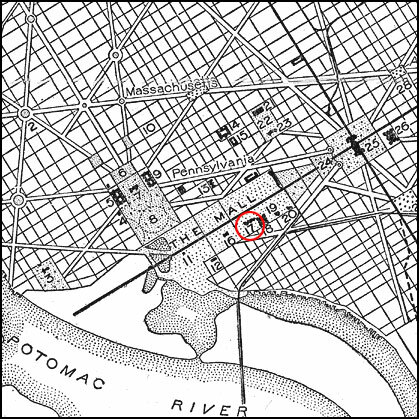 Location of the Smithsonian Institution Building (#17) on the Mall in Washington from the Maps ETC website. 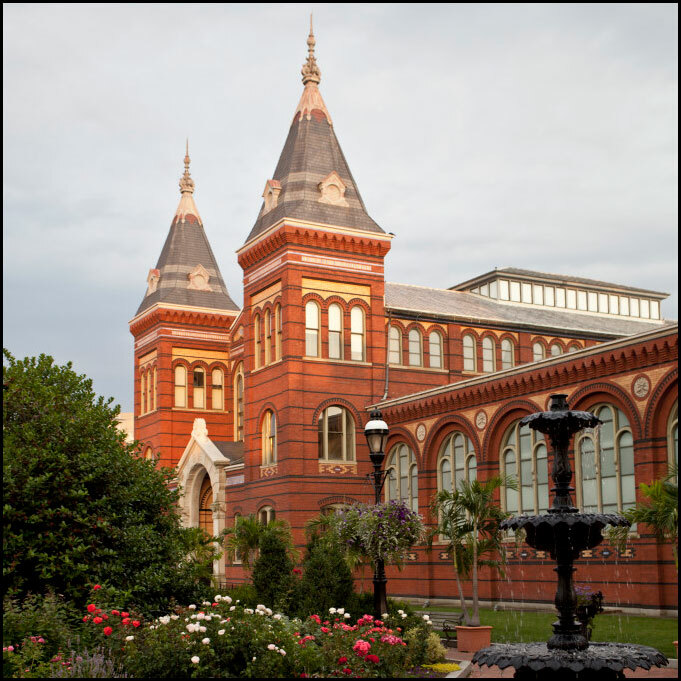 The Smithsonian offers a wide variety of museums and galleries, and even a zoo in the Washington area. We have photo galleries of six of these locations. 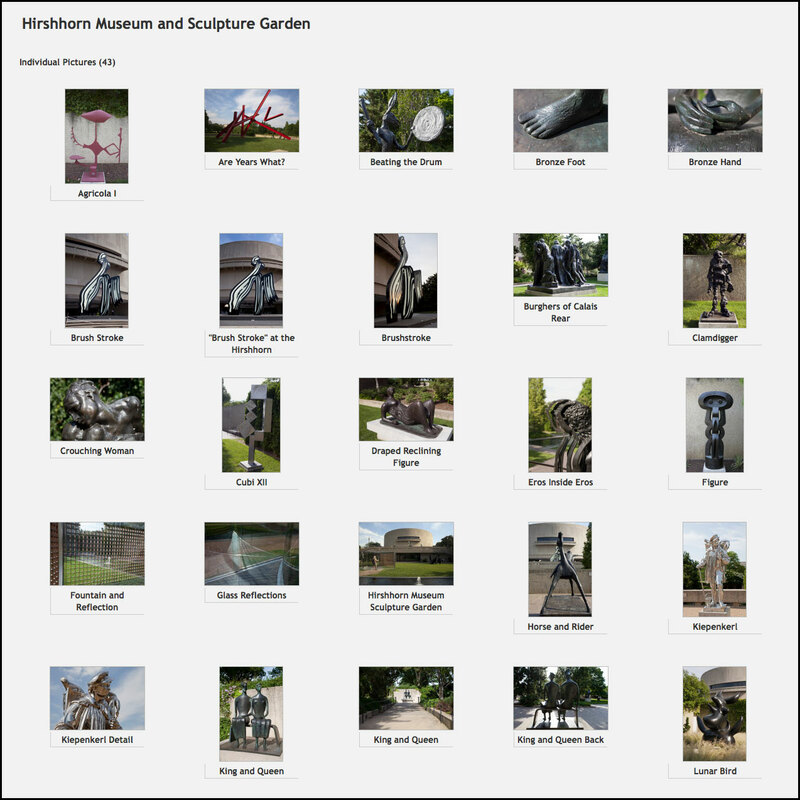 Photo gallery of the open-air Hirshhorn Museum Sculpture Garden from the ClipPix ETC website. 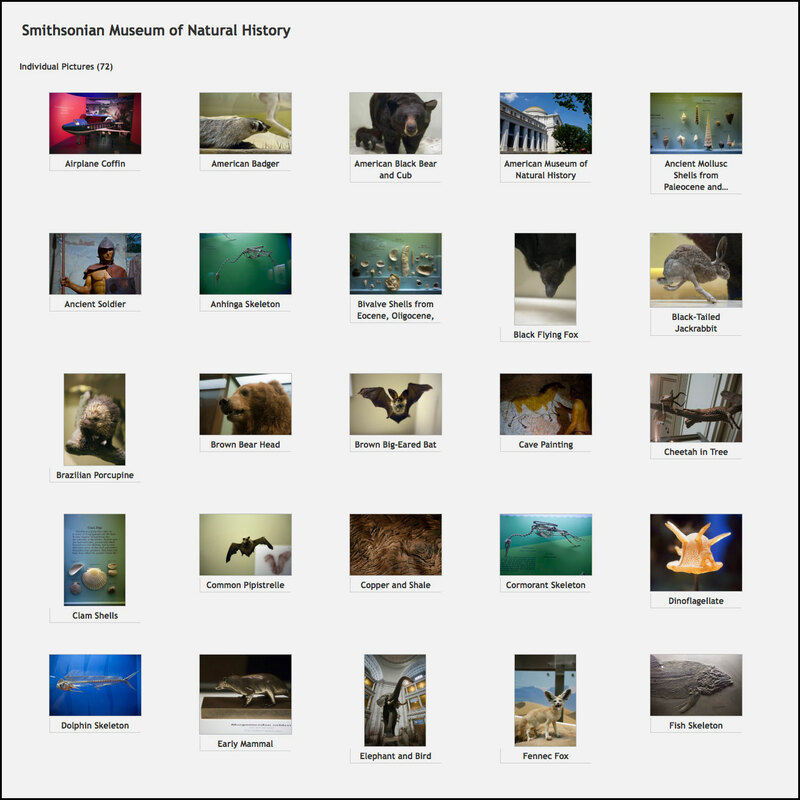 Photo gallery of the Smithsonian Museum of Natural History collection from the ClipPix ETC website. 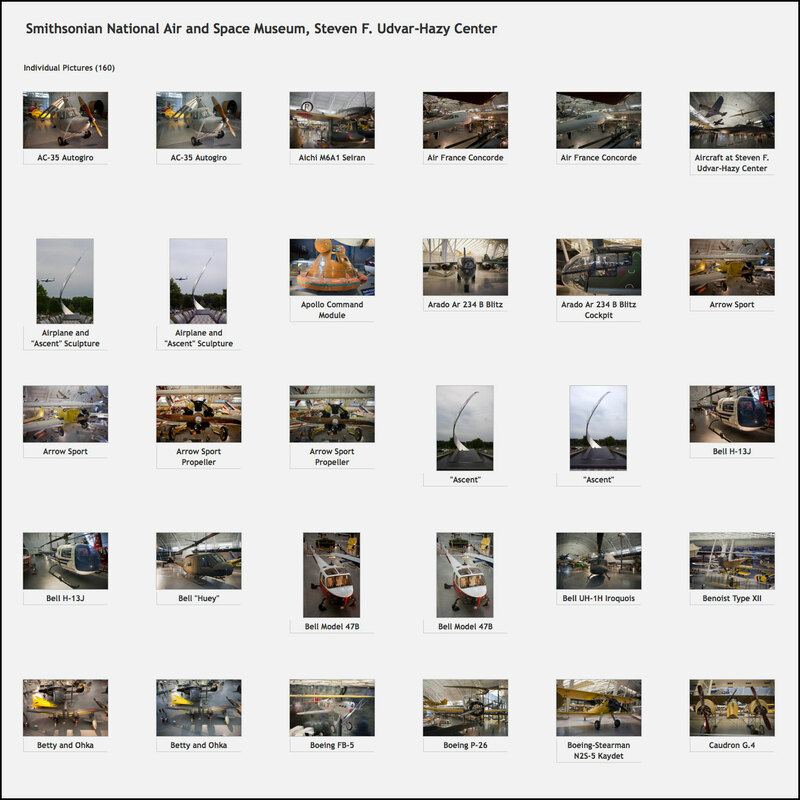 Photo gallery of the Smithsonian National Air and Space Museum collections from the ClipPix ETC website. Photo gallery of the Steven F. Udvar-Hazy Center. This center is a companion facility to the Smithsonian National Air and Space Museum. 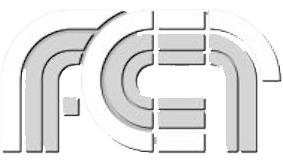 Photos from the ClipPix ETC website. 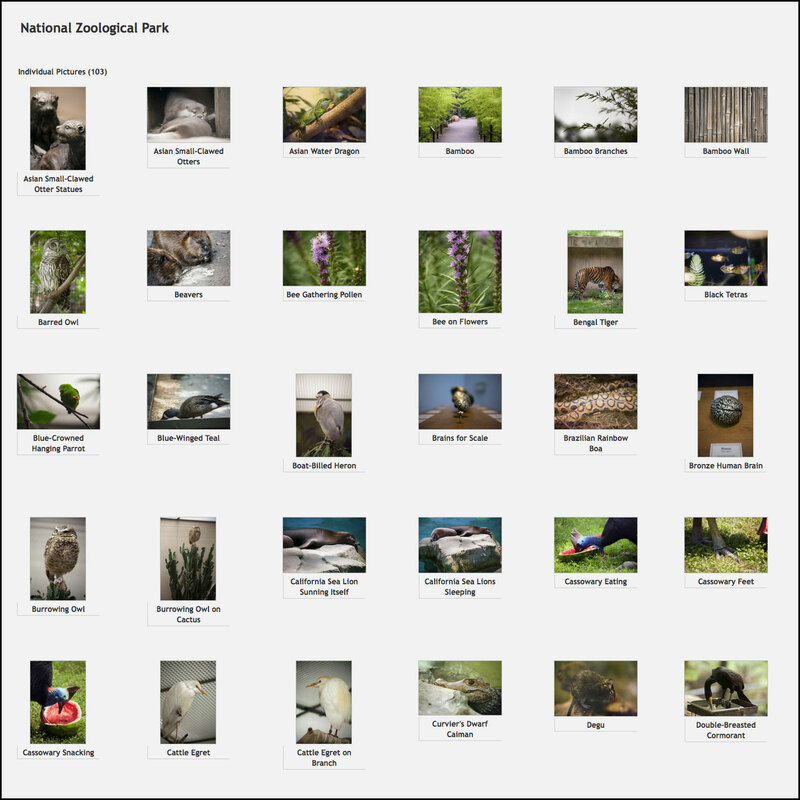 Photo gallery of the Smithsonian National Zoological Park from the ClipPix ETC website. 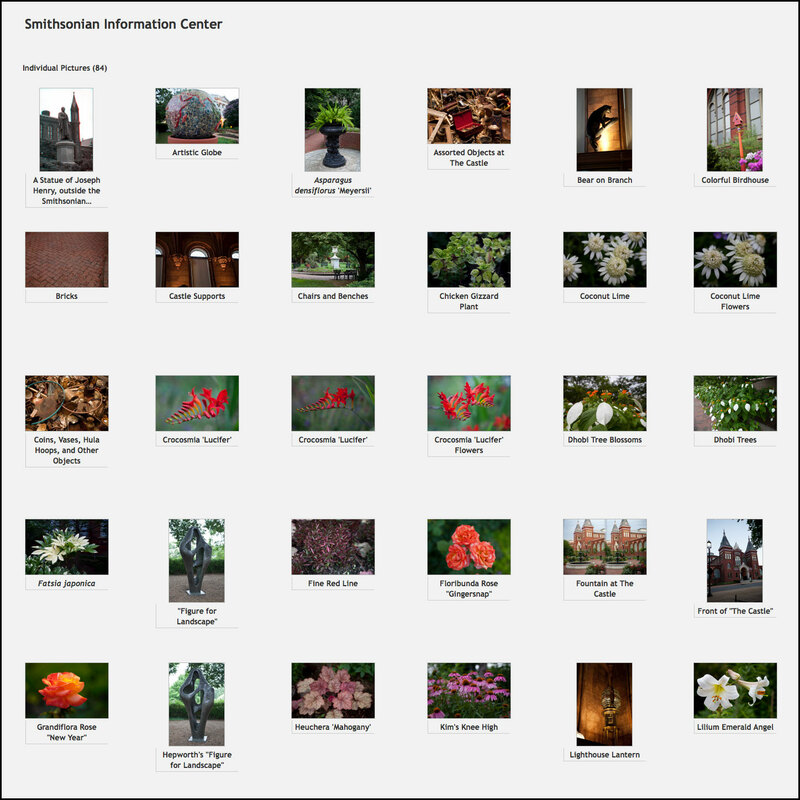 Photo gallery of the Smithsonian Institution Building and Gardens from the ClipPix ETC website.